Your mom is a Pharisee. 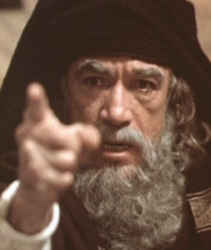 Rather, a Pharisee might look a bit like your mom. I mean, the gospel writers paint the Pharisees in draconian strokes, as though they were just prowling around looking for a prophet to stone. But that’s not the whole story. The Pharisees were great guys. During the Babylonian captivity, they were the ones who kept the people together and separate from the culture around them (hence Pharisee, perushim in Hebrew, “set apart ones”). In that sense, kind of like your mom. They kept the family together, took the pictures, made the scrapbooks, told the family stories, remembered everything you did, kept the keepsakes, and made sure you didn’t end up dating someone from a family whose values were different than your family’s. And you love your mom for it. On those days where you feel empty, you call your mom, because the sound of her voice is a reminder of who you are. The Pharisees did just that. And everyone loved them for it. The problem, of course, is that your mom doesn’t want you hanging out with prostitutes or touching lepers or being associated with con men. Bad influences. Guilt by association. And love is a magical thing…you never know which of these hooligans you might end up attaching yourself to. So better to keep you plugged into groups of the good kids. If Mom is the undisputed matriarch of the family, those bad kids just never get past her. Who knows how the gospel story might have gone if the Pharisees had just had some supervised after school programs to require everyone to attend? I’ve wondered if I could spot Jesus today in a crowd or if he would just blend in. I find myself now wondering if I could spot a Pharisee, or if they would just look like me and my social circle. The Pharisees just had a motherly instinct, a twinge of pride, and the kind of authority that is granted through the fear of the herd, and that’s all it took for them to spy Jesus for the bad influence that he was. ← Would you be my RAM?